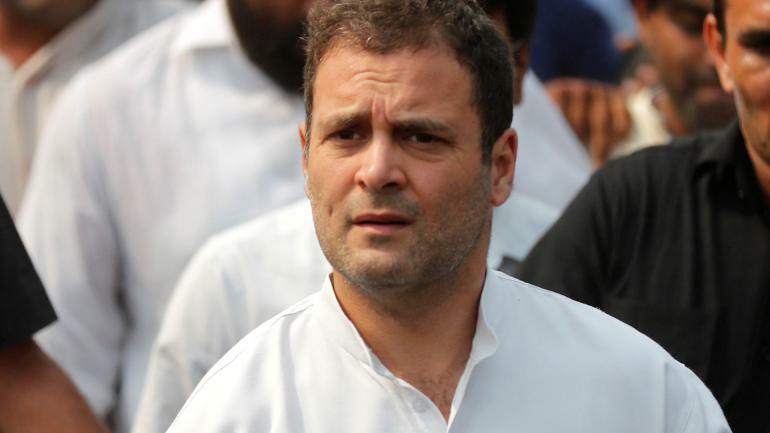 "No views, observations or findings should be attributed to the Court in political address to the media and in public speeches, unless such views, observations or findings are recorded by the Court"
The Supreme Court has sought the response of Congress President Rahul Gandhi in a contempt petition filed by BJP leader Meenakshi Lekhi over his remarks after Rafale verdict. Senior advocate Mukul Rohatgi, appearing for Lekhi, told the CJI-led bench that Congress president made a remark that the "Supreme Court has said, chowkidaar chor hai" in the verdict in Rafale review delivered on April 10. "We have considered the matter. We make it clear that this Court had no occasion to record any view or finding or make any observation as allegedly attributed to the Court by the respondent inasmuch as what was decided by this Court was a purely legal question of admissibility of certain documents to which objections were raised by the learned Attorney General." a bench headed by Chief Justice Ranjan Gogoi said. The bench also observed that no views, observations or findings should be attributed to the Court in political address to the media and in public speeches, unless such views, observations or findings are recorded by the Court.